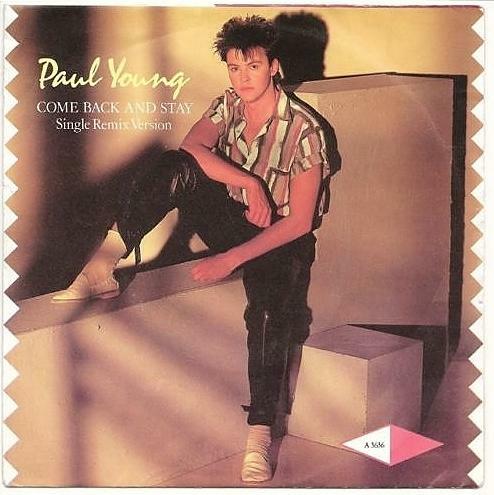 "Come Back and Stay" was released as the follow-up single to Paul Young's debut hit "Wherever I Lay My Hat (That's My Home)", which had reached No.1 in the UK. The track was originally recorded by Jack Lee in 1981 - he also composed "Hanging on the Telephone" which was covered by Blondie in 1978. Lifted from Young's debut album No Parlez, "Come Back and Stay" topped the charts in Belgium, Germany, Switzerland and New Zealand, and also reached No.22 on the Billboard Hot 100 in the U.S. The single was produced by Laurie Latham and released on the CBS label in the UK, entering the UK singles chart at No.27 on 4th Sept 1983, making it the second highest new entry that week, behind Status Quo with "Ol' Rag Blues". 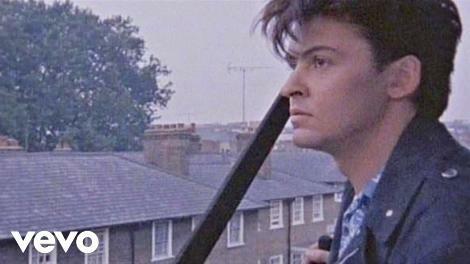 Young reached a peak position of No.4 on 18th Sept for one week, which was the same week that Culture Club reached No.1 with "Karma Chameleon". The 12 inch featured an Extended Club Mix Version of "Come Back and Stay" and also an Extended Club Mix Version of the B-side "Yours". The song was included on the Flash FM playlist in the 2006 video game Grand Theft Auto: Vice City Stories. 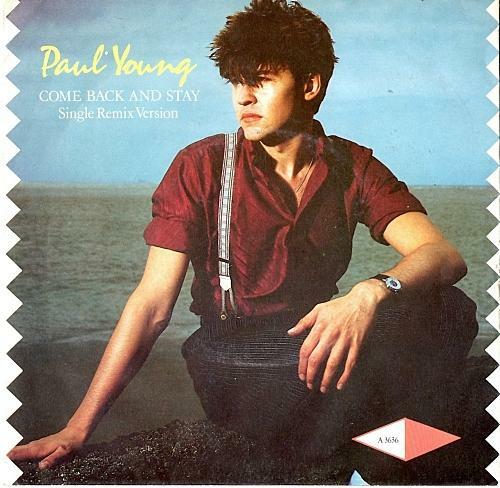 The video starts with an anxious-looking Paul Young sat on a wooden chair in the middle of a large room with a chessboard style chequered floor. He leaves the house through the back entrance, jumping over a fence and a wall, and then making his way to a large, black metal staircase. He climbs halfway up and then stands and gazes over the rooftops, while daydreaming about his lost love. The video continues with flashbacks, although we briefly see Young and his band with two female backing singers performing on a small stage. Near the end, his lover returns and falls into his arms. However, the end of the video reveals that this was a dream, too, as the reflection in the mirror shows Young embracing himself, all alone - don't you just hate a sad ending! Chicane released a remixed dance version of the track entitled "Come Back" in 2010. Following the success of the single, "Love of the Common People" was re-released in November 1983, reaching No.2 in the UK on 27th Nov - the single had initially failed to chart.